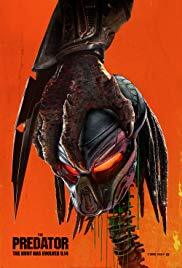 New in Theaters September 14, 2018 "The Predator" and "A Simple Favor"
“The Predator” takes a good running start at being a sequel to a franchise that has seen better days. The film offers up some well-delivered and witty dialogue, humor and better-than-expected action sequences. But “The Predator” falls short of it goal by not flushing out the script. The plot is too contrived and the characters are under utilized. The film falls into the habit of confusing gore with action, and although the film does have 'shock value,' what the audience is left with is a stodgy and lackluster attempt at a reboot that never embraces the spirit of the first film. “The Predator” is likable, but its only average fare at best. 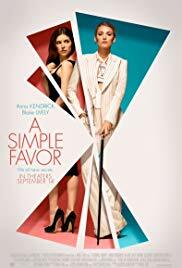 “A Simple Favor,” directed by Paul Feig, centers around Stephanie, a mommy blogger who seeks to uncover the truth behind her best friend's sudden disappearance from their small town. Although this film spotlights two of my favorite actresses, Blake Lively and Anna Kendrick, the story itself is a very unusual blend of comedy and thriller which didn't sit well with the audience, as none of the characters were particularly likable or invoked empathy from the viewer. Both Anna Kendrick and Blake Lively turn in dutiful performances, with Kendrick playing manic to Lively's detached femme fatale. But both women are oddly out of place as neither really compliment each other's performances in this cat and mouse movie. “A Simple Favor” ends up a frustrating mystery movie with a slightly bitter after taste.